Greensboro, High Point, Winston Salem, Kernersville, Clemmons, Walkertown, Burlington, Jamestown, Advance, Oak Ridge, Summerfield and surrounding areas. At AC Kings LLC, we have over 35 years of experience serving and saving folks like you from having to bear the severe elements of the outside, inside! Not only are we personally dedicated to our roster of long-term clients/friends, we also take interest (and pride) in doing so, as green as possible! Innovation and technology have provided us the ability to minimize North Carolina’s carbon footprint, while still saving money on your energy bill! Give us a call 24 hours a day, 7 days a week at (336) 656-5200 or (336) 442-4726! Before breaking the bank on corporate polices and red-tape fees, remember us! We are available day or night, emergency or routine maintenance. Check out our promotions and maintenance packages on our website, or just give us call! We’d love to hear from you! Lower Energy Bills – Enjoy monthly savings as we reduce your energy bill by servicing your existing system or replacing your outdated one with new, high-efficiency, state-of-the-art equipment. Peace of Mind – Rest assured that, whether your unit is new or old, it will function properly when you need it, providing year-round comfort. 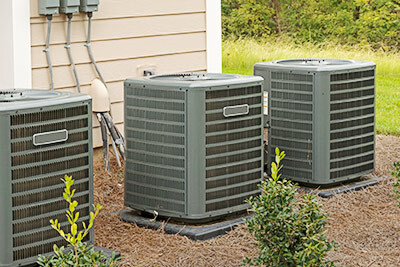 Comfortable Living – Let us help maintain a comfortable living environment for you and your family Keep cool In the summer and warm in the winter. Go Green – Let us help you do your part in reducing your carbon footprint and living a more sustainable, earth-friendly lifestyle. We make it easy. 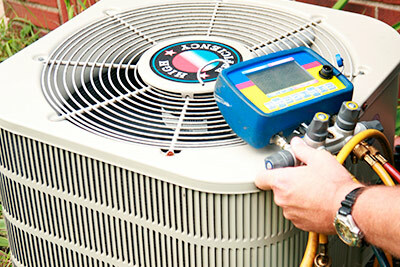 Keep your cool with our HVAC service, which includes installation, replacement and repairs. Don’t sweat the details, we can repair any make or model. Tired of sweating in the summer and freezing in the winter? Call us! Our professional technicians make sure all our clients are comfortable. On site : Installing two five ton Goodman Air Conditions with Security Cages. Day or Night ??? Commercial or Residential ?? ?